"Excellent product for someone not wanting a bag. Takes a bit of getting used to the speed of the bag but once you get the movement it is a solid bag. Stand close for speed work and move back for fast hard punches." 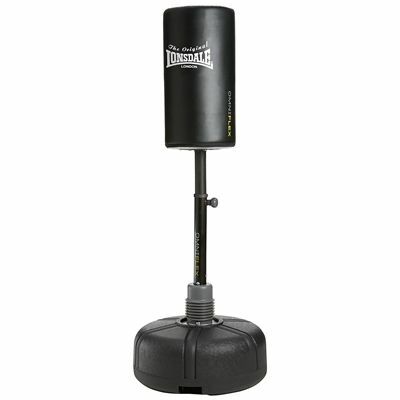 "14 year old son is made up with the punch bag Seems very sturdy and well made"
"Thank you for sending the punch bag over to Farnborough. The delivery was done on time. I have the following wish list to the manufacturer: 1. Add a wrench to tighten the bolts etc; 2. Each time I punch the box I would like to hear the sound of the punch only, however the equipment produces certain creak sound (at the bottom of the rod) each time it gets shaked; 3. It would be good if I could adjust the resistance of bag stand as it is too flexible.. Thanks"